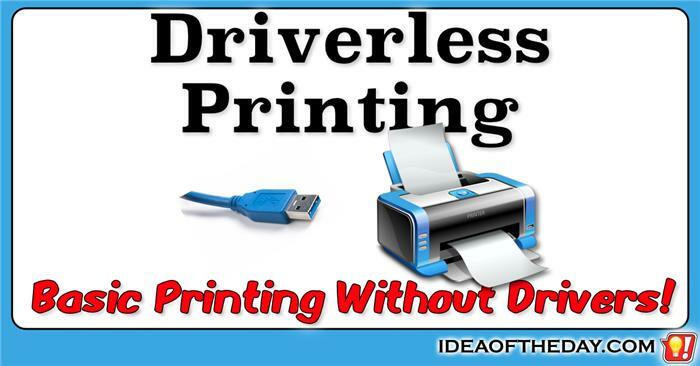 Every printer should be capable of printing without drivers. In the early days of computing, you could plug any brand of printer into a computer and it would print. Drivers weren't needed. You just plugged it in and it simply worked... sort of. As newer models came along with support for fonts, graphics and various paper sizes, each manufacturer created their own proprietary ways to support their specific features, which led to the creation of printer drivers. This made everything much more complicated. If you use the wrong driver, you can't print. What a pain in the neck.